It has been a very cold winter so far, with different parts of the United States experiencing record-setting low temperatures. This means that the heating and gas bills are most likely to skyrocket. However, there are a lot of different steps that you can take to lower your heating bill this year. Heating your home accounts for the largest utility cost during the winter months. The good news is that for every 1 degree you lower the temperature on your thermostat you will save 3% on your energy bill. So by reducing your thermostat by 3 degrees you will be saving 9 cents on every dollar. With an average utility bill of $130 to $185, a simple three degree difference could save you $140 to $199 per year. Worn and torn weatherstripping around doors and windows creates drafts and lets in cold air. Seven to 12 percent of a home’s heat loss can occur around windows and doors, these leaks often prompt you turn up the heat. Even you don’t turn it up, you’re losing warm air, causing your furnace to work harder. You should be able to weatherstrip your windows, doors and caulk leaks in only a few hours, with very low material costs, and see an immediate savings. Some HVAC experts say up to 75 % of calls in the winter months are related to a lack of maintenance. Have a qualified HVAC professional inspect your system. A qualified technician knows where to find potential issues that may lead to a system failure or safety hazard down the line. This will also ensure that your furnace is working at is optimum efficiency, providing you with the most heat for the least cost. If your furnace is more than 16-20 years old it might be time to replace it with a new more energy efficient unit. Furnaces have become more energy-efficient over the years. A gas furnace made in the early 1970s typically has an AFUE of about 65 percent. The lowest efficiency allowed by law for new gas furnaces is 78 percent, and some new models achieve 97 percent, near-total efficiency. 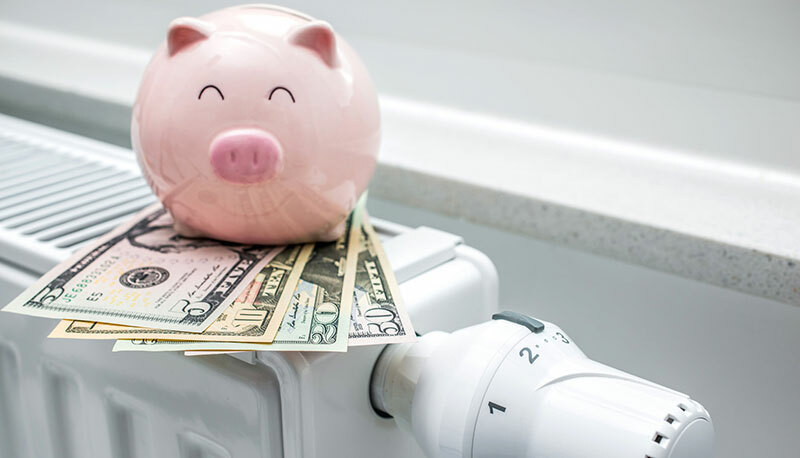 If you do replace your furnace, you’ll be glad to hear that today’s more-efficient gas furnaces can save you up to $40 for every $100 you spend on fuel compared with older models. 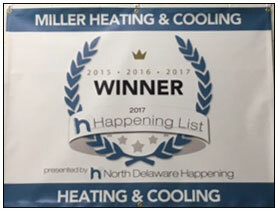 We service, maintain, and install heating and cooling systems to keep your home or business comfortable all year long. Located in the MOT area, servicing NCC, Kent and surrounding areas. Whether you’re urgently replacing equipment or upgrading to a more energy efficient system, it’s good to know that the solution that’s best for your home can be yours through affordable financing.